The first thing anyone ever notices about Jenny Vidbel is her smile. It's the purest smile I've ever seen. It emanates from a soul steeped in genuine gratitude, abundant joy and love for her craft. Yet, to see her as the woman and talent that she is today, coupled with the stardom she enjoys as one of the circus industry's most respected artists, one would never imagine that this most exquisite talent, applauded by millions, might have never been. Jenny Vidbel's career was in the dumps -- literally. She'd just completed a winter school tour in the mountains of North Carolina. She was cold, sick and crying inside a dumpster while attempting to dispose of a large carpet she used for her act, not the easiest task for the petite Vidbel. Her dreams of circus stardom were over, she must have thought. That bristling winter night in that dumpster was a lifetime away from the enchantment that was her childhood and a life seemingly predestined for a career under the big top. Her grandparents, Al and Joyce Vidbel, as well as her mother, enjoyed reputable careers in the circus world. 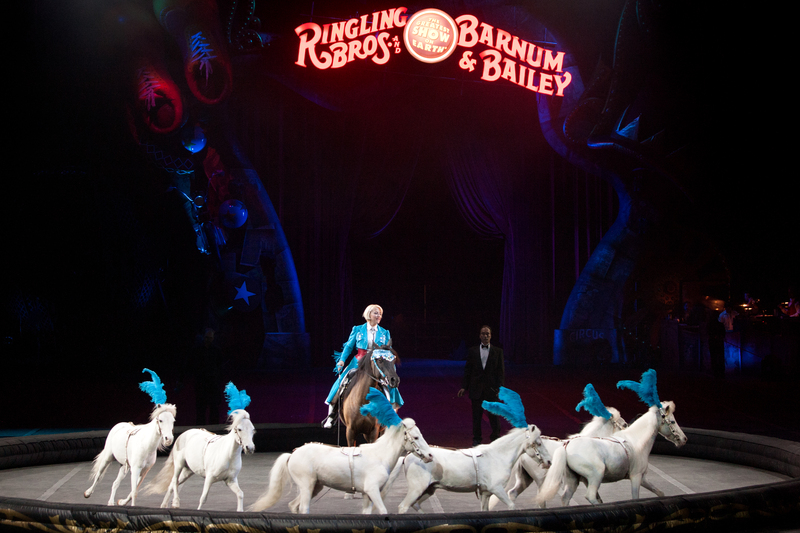 It was at Ringling Bros. and Barnum & Bailey® that Polish immigrant Albert Vidbel found himself dazzled by Joyce Lane of New York, a lovely and skilled equestrian. Not long after they were married did they decide to venture off to other circuses and eventually establish a show of their own, Vidbel's Old Tyme Circus. "My childhood was just amazing," Jenny gushes. Raised on a farm in Upstate New York, Jenny and her twin, Susan, were reared in a multigenerational abode that included their mom, grandparents, great grandmother and great-great grandmother. Their mischievous chimpanzee, Pepé, who had a penchant for nabbing Jenny's snacks, also took up residence indoors, where he was routinely spoiled by Jenny's grandmother. Mornings were spent in the barn alongside their grandfather -- riding ponies or helping him groom and feed the animals. "We were given jobs to take care of the animals, but they really took care of us," Jenny reminisces fondly, "especially our lead elephant, Daffodil." "She was our babysitter," Jenny asserts. "When my sister and I got out of line, she'd take her trunk, grab us by the wrists and gently pull us to her side. Those animals were my best friends and my escape." Unlike the typical circus clan, the Vidbels were not always on the road. "My grandmother made sure we had a well-rounded existence," says Jenny. Along with school, there were music and dance classes. "We had so much variety and opportunity." It was one such opportunity that determined for Jenny, what she would commit her life to. During her teen years Jenny threw herself into modern dance. In fact, it was her commitment to dance that won her a place with a troupe her teacher was putting together to go to Europe. "I was so excited. I love modern dance." However, the trip to Europe would clash with her family's show schedule. "When I told my grandparents, I could see the disappointment in my grandfather's eyes," she recalls, "but they were supportive of me going, which made me sad! I wanted them to say, 'you can't go, we need you!'" she chuckles. It was her love for her animals that ultimately led her not to join the dance troupe in Europe. 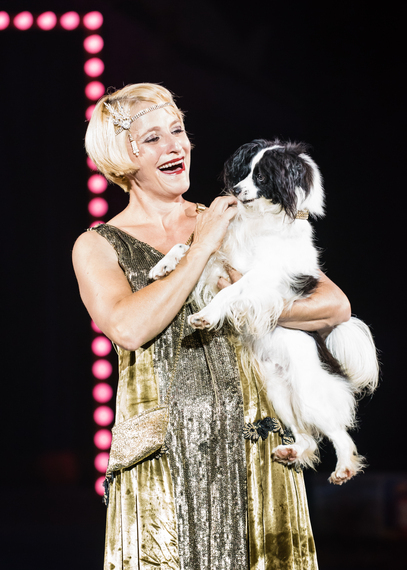 "It's all or nothing with animals, you can't dabble," Jenny says. "That's when I was absolutely certain about what I wanted to do with my life." Though her sister, Susan, would take to aerial work, Jenny dedicated herself full time to her animals. Together the sisters would take over operations for their family's circus. This meant they had to oversee the booking, advertisement, sponsorship and management of the show, as well as perform. Eventually, Jenny would move on to Southwick's Zoo in Massachusetts as her sister continued on with the family's show. "It was a culture shock," Jenny chuckles. "I had to host as well as present the animals." It was a rocky start to say the least, but eventually it got better. Her days ended at 4:00 PM, which is utterly foreign to the rigors of circus life. "I was in limbo. I didn't know where I was going and part of me resigned myself to the belief that my circus career was over," says Jenny. However, during those five years at Southwick's Zoo, she wasn't idle. "I had all of this time, so after my presentations I'd create and practice routines with my animals," she says. 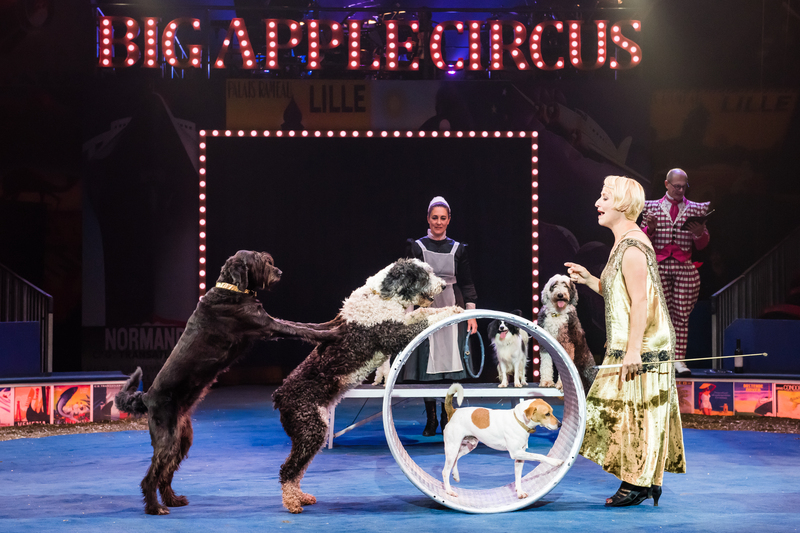 "I started sending promotional packages to various festivals and shows, including Ringling Bros.®, but I never thought The Greatest Show On Earth® would ever be a possibility." Yet, there she was in a dumpster, the chill of a North Carolina winter at her back and tears streaming down her face. Had it come to this -- the 3rd generation of a respected circus legacy wallowing in trash? "And that's when my phone rang! It was an associate of the late Tim Holst, the Vice President of Talent & Production at Ringling Bros.," Jenny recalls. "He told me that the owner, Kenneth Feld, saw my video and said 'Where has this girl been hiding?'" Jenny is one of those individuals for whom it is clear she is exactly where she belongs. It's evidenced in the joy that illuminates from the woman and her work. It's not possible to feel anything but happiness and light when you're privileged to be around that kind of energy. I don't think I stopped smiling the entire time we were together. Thelma, her piglet, joined us during our conversation, interjecting her snorts of approval and inspecting me thoroughly with her snout before she wobbled off to Jenny's lap. Jenny is many years removed from that cold and desperate night in North Carolina with a thriving career and her family legacy certainly secure, but at heart she is still that farm girl from Upstate New York. 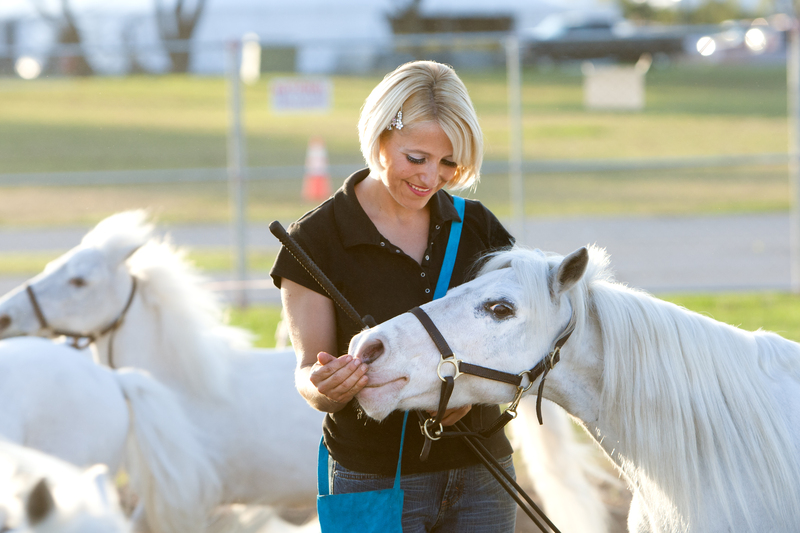 "I enjoy performing, but I really just love being with my animals," she says.